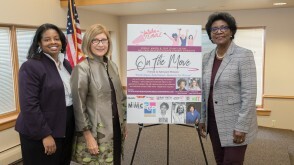 It’s not often that a room full of people erupts in song, but that’s exactly what happened when women from all over the Springfield area came together to celebrate International Women’s Day at Bay Path University for the third annual On the Move Forum to Advance Women. The event, founded by Bay Path Undergraduate Communications Chair and Assistant Professor Janine Fondon, was designed to celebrate, unite, and inspire women from the community, neighboring businesses and institutions, and Bay Path students, supporters, faculty, and staff to celebrate the work of women from the past, the tenacity of women in the present, and the possibility of women in the future. Sharing the stage throughout the event were several Bay Path students, including a poetry reading by Loren Jones, a video presentation by Andrealis Martinez Padilla, and women’s day proclamations by Bay Path students, Bay Path staff and faculty, including a warm welcome by Dr. Leary and moving remarks from event founder Janine Fondon and facilitator hos Dr. Andrea Hickson, and members of the community committed to advancing and supporting the role of women, including Kristin Leutz, CEO of Valley Venture Mentors, “Power of Women” book editors Joe Carvalho and Wayne Phaneuf, and members from Women’s Fund of Western Massachusetts, PAHMUSA (Pan African Historical Museum), WGBY, Girls Inc., and Delta Sigma Theta Sorority, Inc. 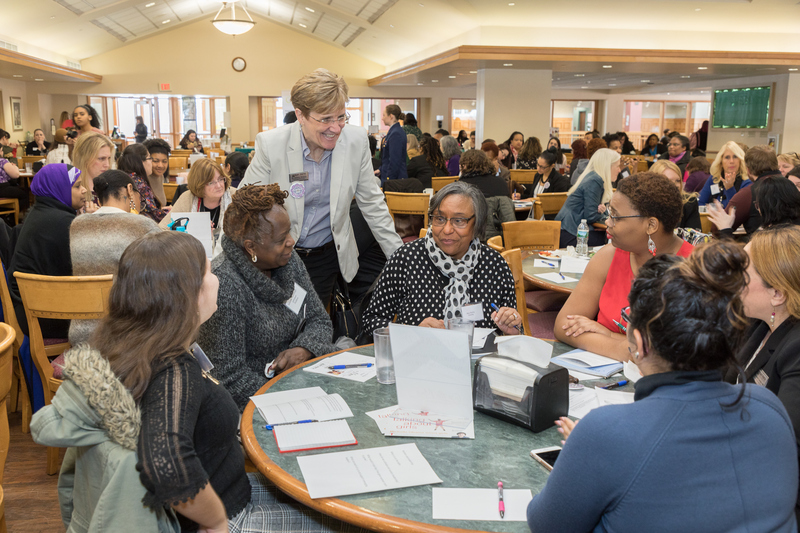 Throughout the event, women gathered together around tables to add their voice to the discussion of issues at the center of women’s rights. 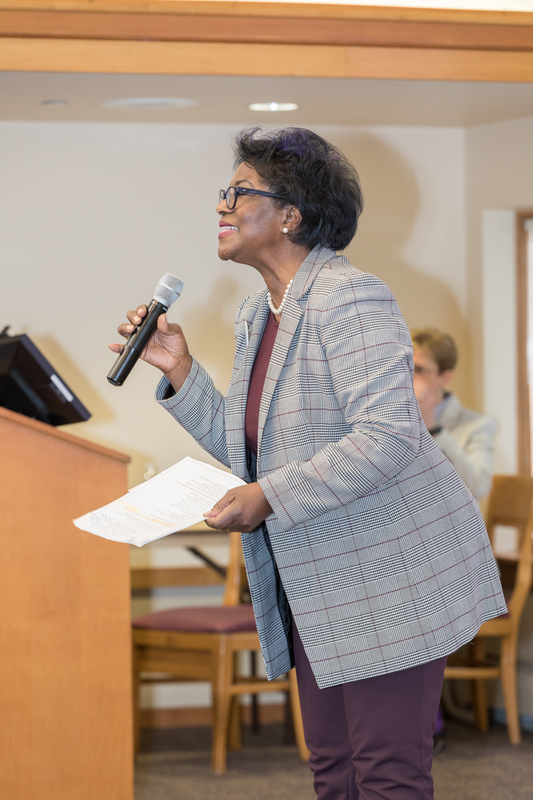 Table topics included The Future of Women, Women of Color, Millennial Perspectives, STEM, Business, Media, Education, Politics, Diversity, Pay Equity, and more. The conversations and key take-aways from those discussions were powerful and inspiring.